Angela Harvey in her adorably decorated 1963 Airfloat. Long, Long Trailer,” on TV, a 1954 film starring Lucille Ball and Desi Arnaz, and it kindled something inside her. “I’ve always wanted to be a vagabond, I’ve always had wanderlust. I just have always created a life where I can’t go anywhere!” she laughs. “I love the thought of going on the road. I thought, Why can’t I just do it here? 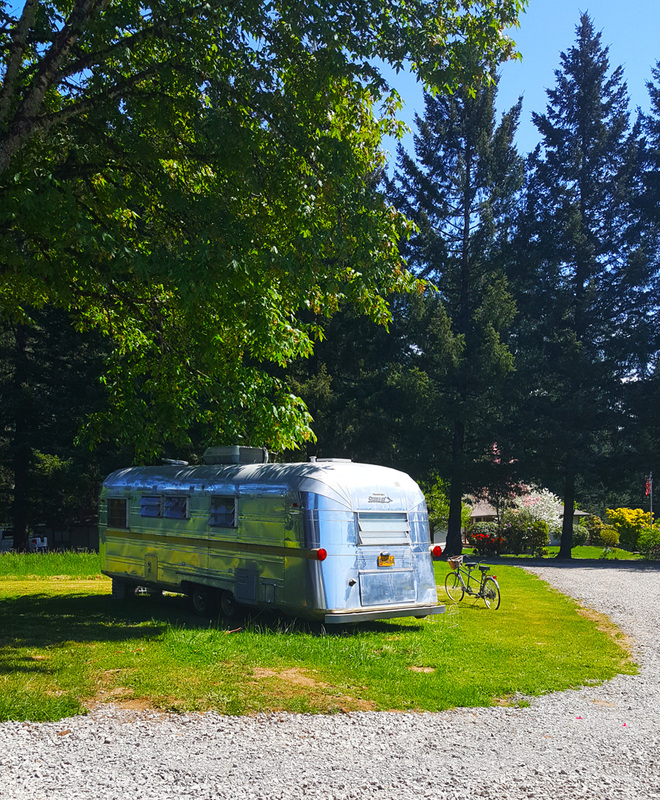 Why can’t I just come and camp in my yard?” Fortunately, Harvey has ten whole acres of yard at Wickering Heights, her Woodland farm—and she aims to share it with 2,000-plus people who will attend the Ragtag Revival Antique Show and Vintage Trailer Hootenanny on July 27 and 28. 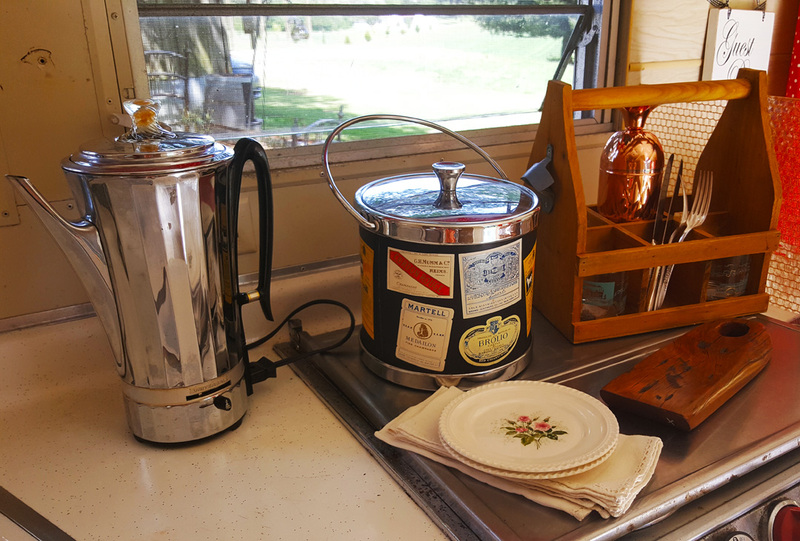 40-45 campers and glampers will bring their vintage trailers to Wickering Heights, as well as vintage goodies to sell to the public. Many trailers will be open for touring! “We’re expecting about 40 to 45 trailers. Half are vendors, half are just camping,” she says. 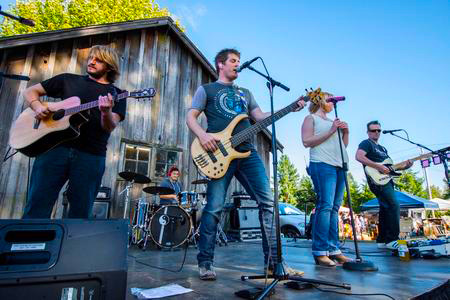 “They come from California to Canada and they bring all kinds of different things!” Friday night is early bird shopping from 4 to 7 p.m. for a $20 admission fee, with drinks and live music from 6 to 10 p.m. by Breaking Midnight, a band that forms only once a year for this event. 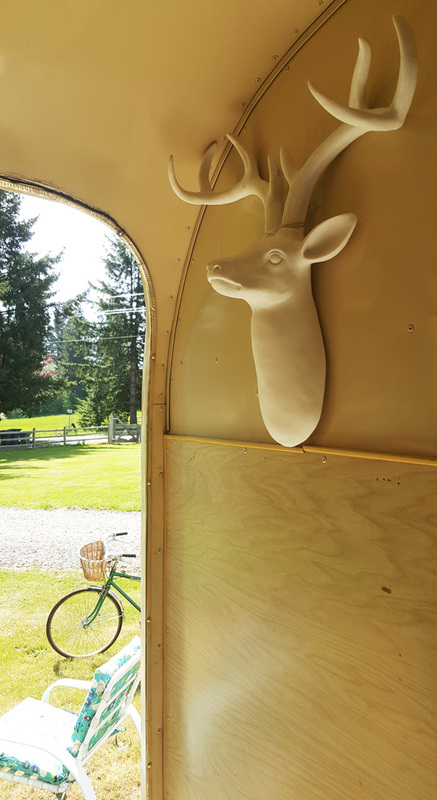 Saturday is free to everyone from noon to 5 p.m., and that’s when you can peek inside the vintage trailers, fully outfitted in all their retro glory. 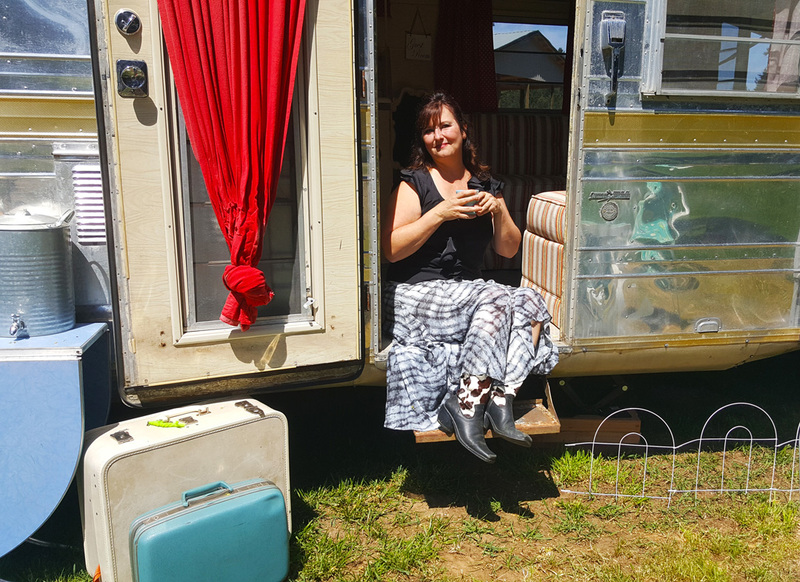 Harvey, who sells vintage goods under the name Ragtag Revival at Camas Antiques and Birch & Crow Vintage Market, had already hosted two antique fairs at Wickering Heights—but after she bought her first trailer and met other trailer enthusiasts, she decided to combine her two passions into one giant event last summer. 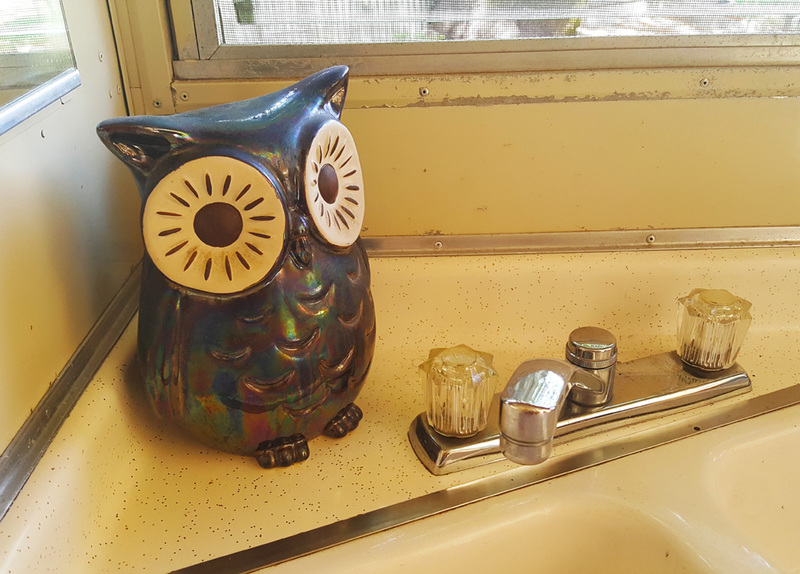 “I was incorporating the two things I loved. That’s really what got me started doing it,” explains Harvey. There will be bargains and treasures galore during this two-day pop-up antique market on July 27 & 28. The phrase definitely applies to Wickering Heights. When Harvey purchased the property almost a decade ago, it seemed unsalvageable. “It was all blackberries and barbed wire and trash,” she recalls. The 1979 house “had a terminal case of ugly,” and there were two neglected 100-year-old barns in the front field. “It was horrible. I mean, I’ve got a real good eye. I like a mess, I like the underdog…but I couldn’t see anything here.” That didn’t stop Harvey. Bit by bit, she cleared the bracken and garbage and went to work restoring the house, which had just one thing going for it: a breathtaking view. 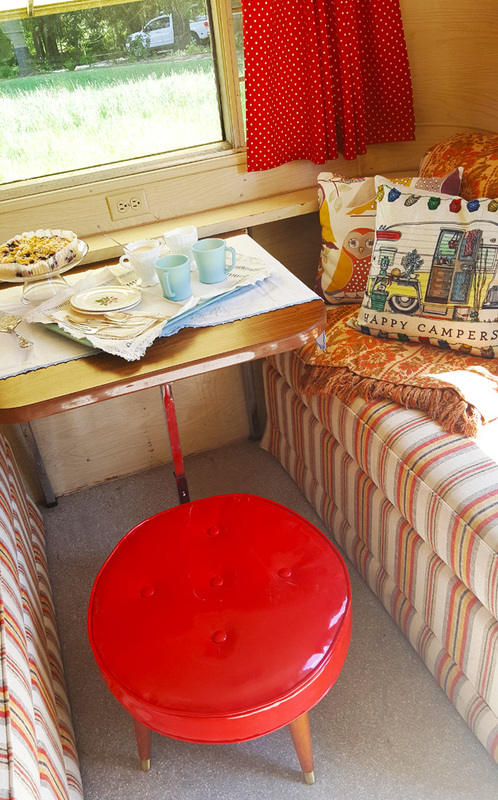 Vintage lawn furniture is ready to welcome guests outside Angela Harvey’s Airfloat trailer. Her restored farmhouse is visible in the background. Harvey is bursting with big ideas for the future. “I bought this property with the intention of being a venue,” she says, but Ragtag Revival is just a start. 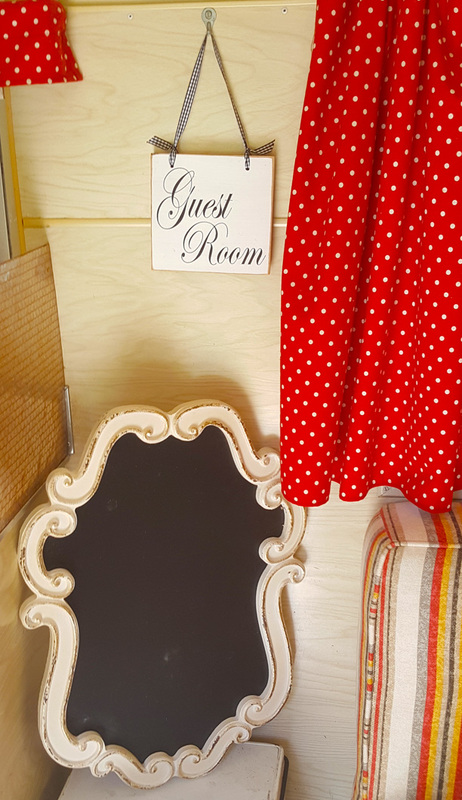 She’d hoped to become a wedding venue and a “glamping” destination where guests stay in refurbished vintage trailers—their own or one of Harvey’s. Harvey certainly knows how to sell an idea. She welcomed me into her enchanting 1963 Airfloat, where an old-fashioned coffee percolator bubbled away on the tiny kitchen counter, and ticking-stripe upholstered seats nestled up to a table laden with coffee cups, lace napkins, and a blueberry coffeecake from Sadie and Josie’s Bakery in La Center. 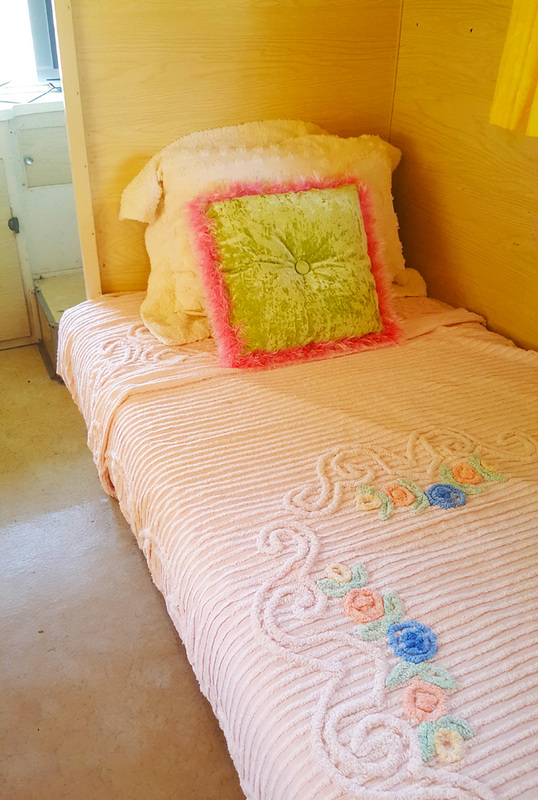 In back, pastel chenille bedspreads and pillows adorned two beds, made up as though awaiting guests. 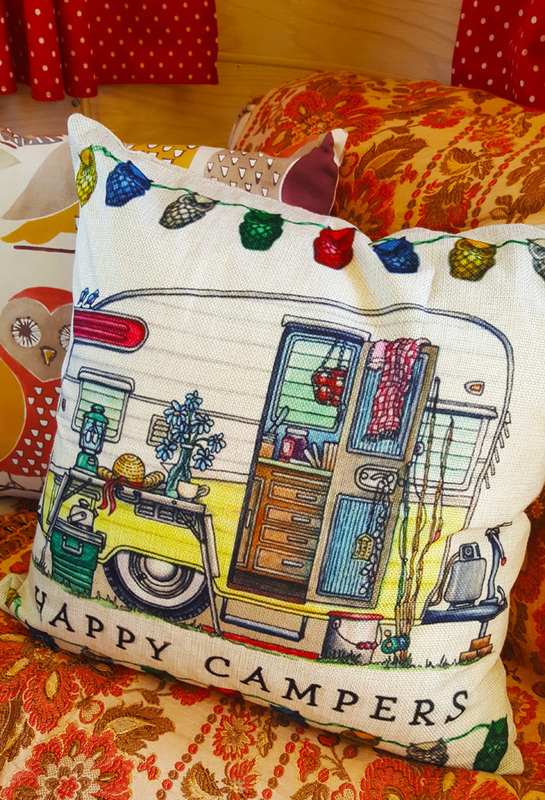 Cherry-red polka-dot curtains, throw pillows, and a big ceramic owl enhanced the “trailer chic” décor. 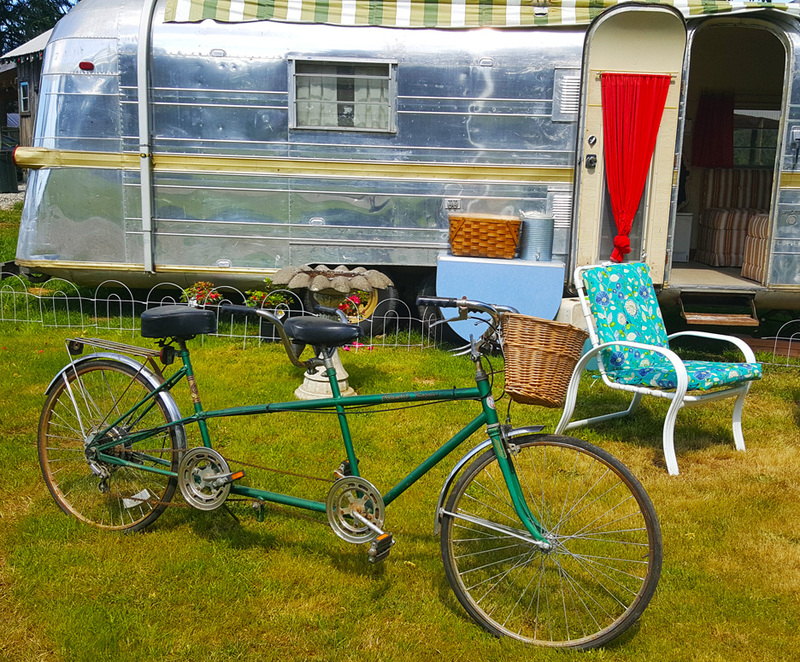 Outside, white lawn furniture was arrayed near blooming flowers, and vintage suitcases, a picnic basket, and a bicycle completed the vignette. The effect was utterly charming. From gritty to pretty: a philosophy that celebrates reinvention and second chances. That’s Angela Harvey in a nutshell, reviving what was ragtag, putting Woodland on the map as a tourist destination and providing a boon to the local economy. 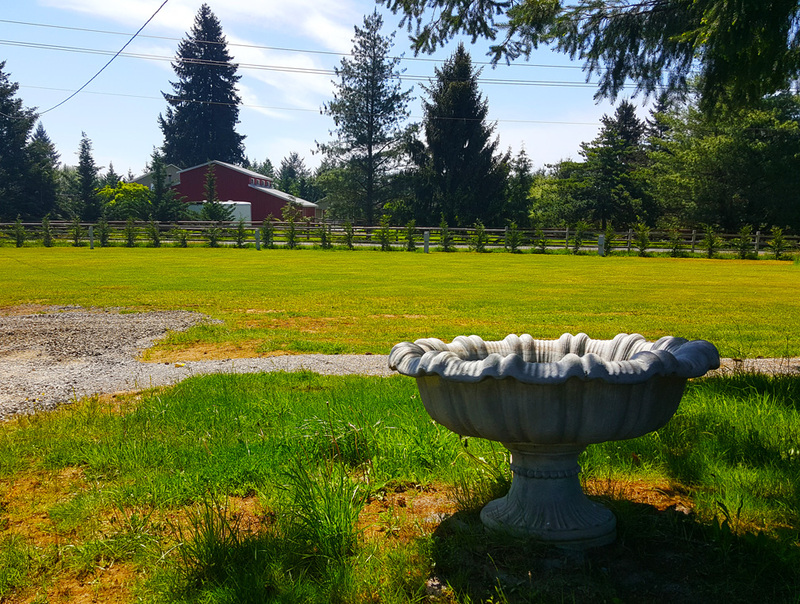 In the process, she’s turned her farm—and herself—into a Clark County treasure.